Pre-Production: Key talent and film crew being hired; budgeting, preparing and planning of production schedule; approving final shooting script. Starts shooting March 4, 2019. 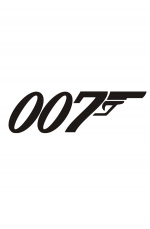 James Bond 25 release date is set for Wednesday, April 8, 2020. This will be a Nationwide in theaters release. Neal Purvis and Robert Wade have teamed up on the screenplays for the last six Bond installments, starting with1999's The World Is Not Enough (7/25/17). Universal will release the pic overseas (12/9/2018).